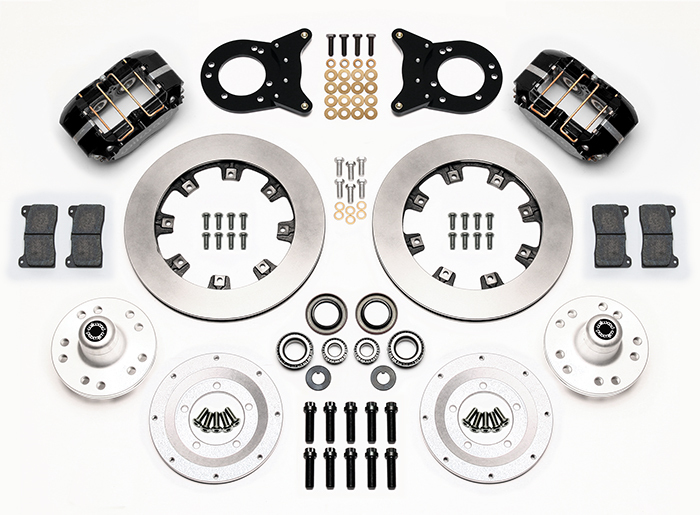 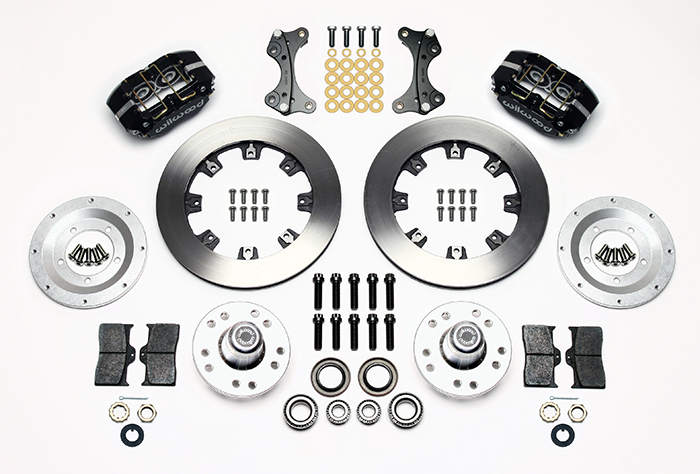 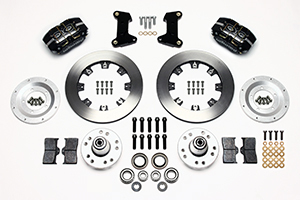 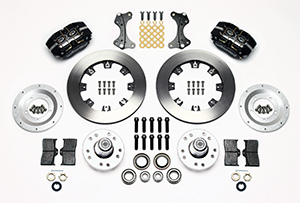 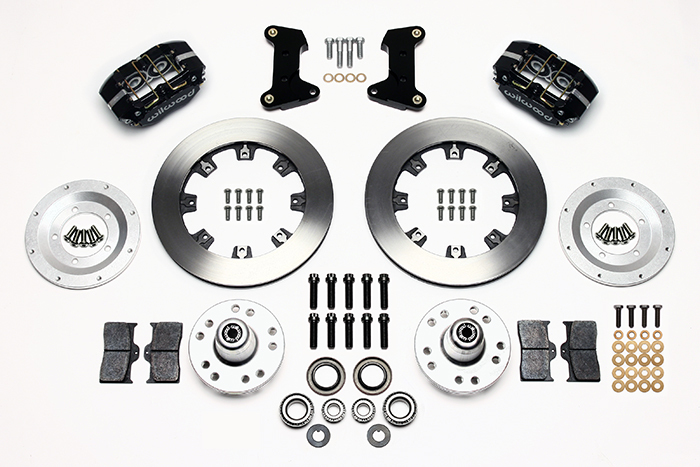 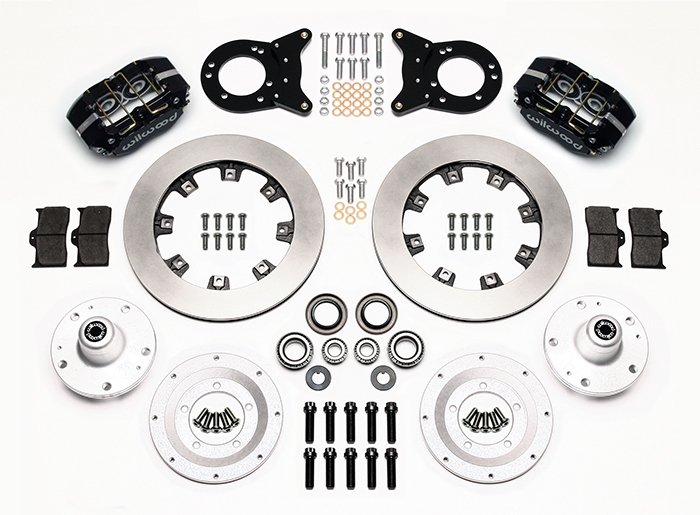 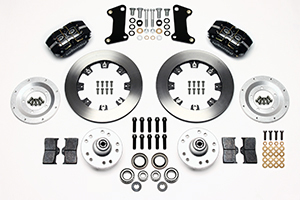 DP-DB Big Brake Front Hub Kits provide the added advantage of larger diameter brake rotors for traditional non-ABS spindles on American muscle cars and vintage rods. 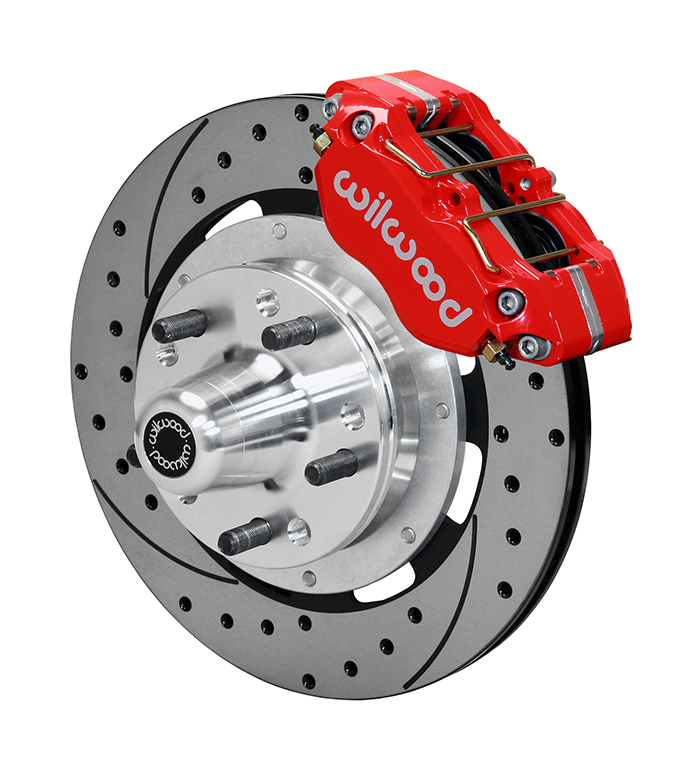 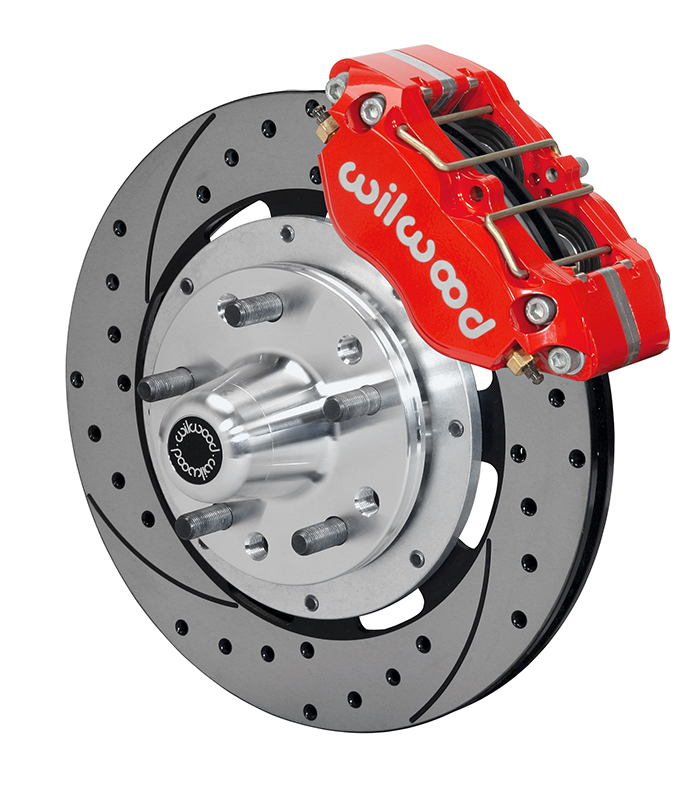 Dynapro Dustboot calipers, 12.19” diameter rotors, and high performance Wilwood brake pads generate big brake stopping power. 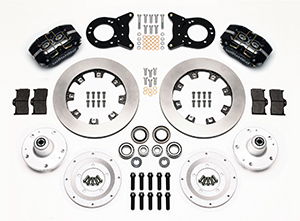 These kits were developed for applications or locations that require or prefer a dust-sealed piston. 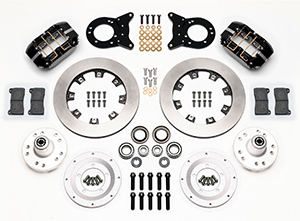 Dust-boot sealed aluminum pistons provide added protection against road or track born dirt and debris on low to intermediate temperature range applications that may also operate in harsh environments. A full range of options for caliper finish and rotor design provide custom builders with the ability to personalize the style and performance requirements of the mildest to the wildest machines.